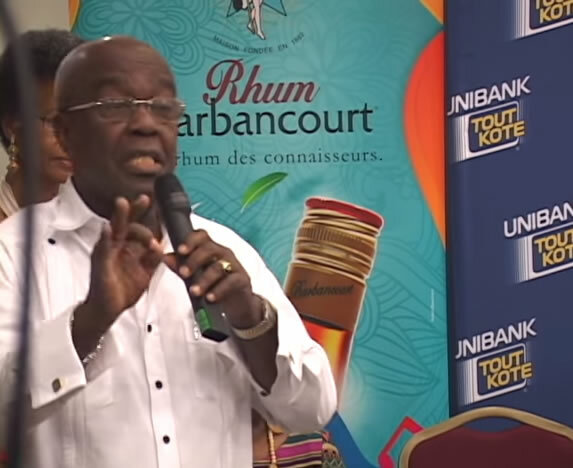 Here is a presentation of the 22th edition of Livres en Folie in Haiti. 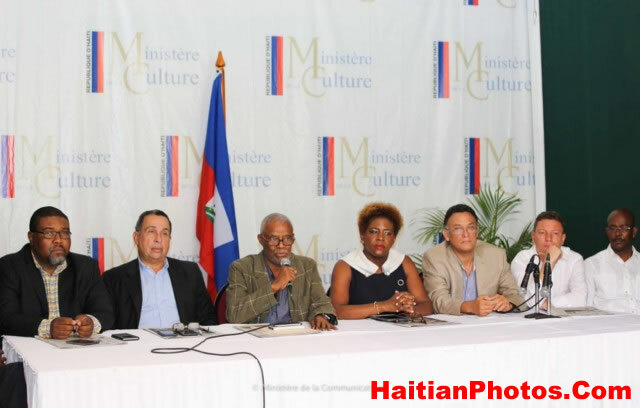 On Wednesday, May 11, 2016, the official launching ceremony of the 22nd edition of "Livres En Folie" or "Books on Fire" took place at the Historical Park of the Sugarcane, in Tabarre. It is the largest annual book fair in Haiti. This edition of book fair has been dedicated to the honor of Marie Vieux Chauvet (September 16, 1916 to June 19, 1973). She was a Haitian novelist, poet and playwright. Her works focus on every aspect of Haitian life-- class, society, women, family, economy, politics and many others. Provisional President Jocelerme Privert accompanied by his wife Ginette Michaud Privert visited the fair on Thursday, May 26th. He praised the efforts of the organizers for organizing this event continuously, for last 22 years. He mentioned this fair as an excellent meeting place for the authors, publishers, readers and intellectuals and congratulated all the participants to make this event a success. For two days, June 19 and 20, the 20th edition of the book fair "Books on Fire" was held at the historic Cane Sugar Park, Port-au-Prince. Where everyone irrespective of their class and creed was present and they were happy to browse and stroll within an atmosphere of perfect communion. There were readers, authors, parliamentarians, foreign diplomats, politicians and other personalities of the society present in the fair; they met to chat, exchange ideas, allowed to get their picture taken. More than 160 authors were present and nearly 2,000 titles were displayed. 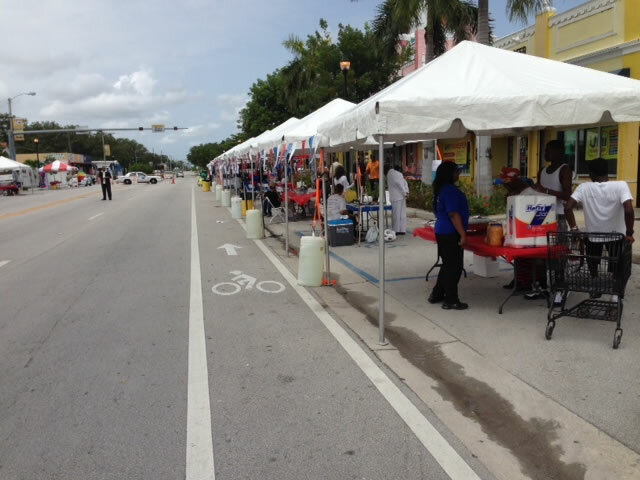 It is one of the most important cultural events in the Caribbean and Americas. In 2013, the fair received over 13,000 footfalls. The Regional Office of the OIF (Organisation Internationale de la Francophonie) in the Caribbean organized "Francophone Quiz" where hundreds of people participated and won many prizes. Celebrated Haitian chef Nadege Fleurimond is coming to Haiti to talk about fusion cuisine while conducting cooking sessions and workshops for schools and women's groups. She will also teach participants about sanitation practices, marketing, and customer service to help them run their businesses. Fleurimond has catered for many American celebrities including Stephen Colbert, Dr. Oz, and Viveca Fox. 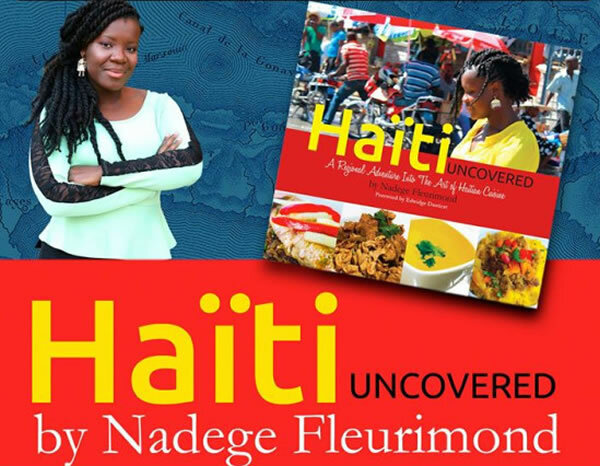 Fleurimond will be signing copies of "Haiti Uncovered" at La Reserve Restaurant. Here is the only book released so far by President Michel Martelly. Meet the author, Michel Martelly. Doing what few others in his capacity have done before him, the Haitian president penned his biography, giving readers a look into the life of the controversial man behind the title. At the Karibe Convention Center, President Martelly surprised patrons, including ministers, musicians, diplomats, senators and business professionals, by hosting a signing of his book. 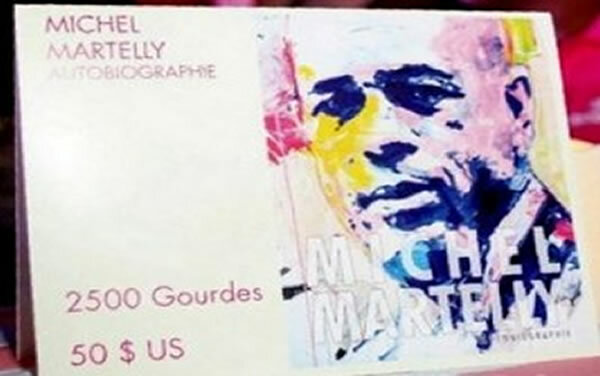 The book, simply titled The Autobiography of Michel Martelly, features a picture of the man on the covers. It was sole for $50 USD. 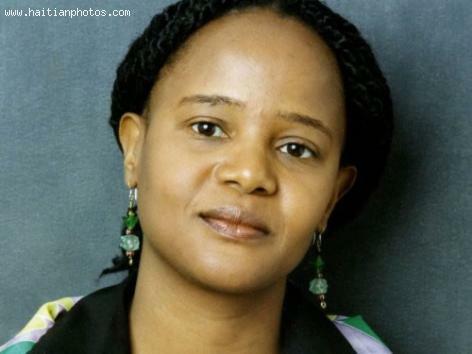 This is the popular Edwidge Danticat, Haitian-American author. She was born in Port-au-Prince, Haiti but her parents left the country when she was only two years old. Here is the Haitian writer Yanick Lahens as he presents La couleur de l'aube. 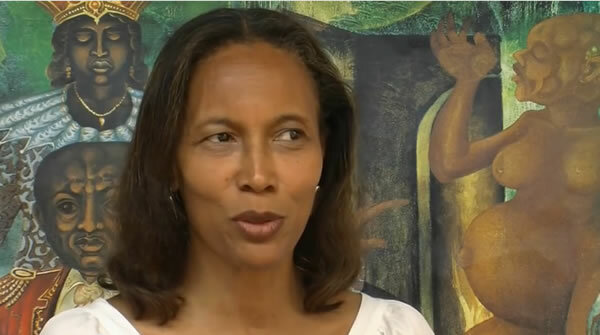 Harkening back to the very Caribbean tradition of short-story telling, acclaimed Haitian author Yanick Lahens has helped keep Haitian literary culture alive, while racking up honors from around the world in literature. 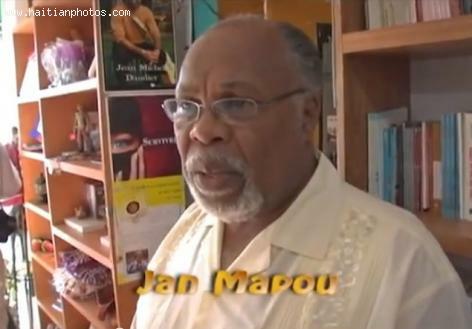 The author has also published two full-length works, La couleur de l'aube and Dans la maison du père, both of which have helped name her as Haiti's most important female author writing in French. Her writing deals with aspects of Haitian culture that showcase the national struggle, often depicting characters who deal with the rigors of life from a political, social, or a religious standpoint. 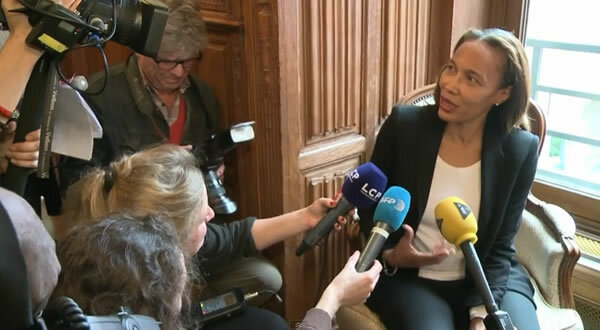 Here is a Picture of Yanick Lahens as she was awarded France's prestigious Femina Prize. She received the prize for her book " Bain de lune"
Yenick Lahens Yanick Lahens was born in Port-au-Prince, Haiti on December 22, 1953. She completed her studies at the University of Paris IV-Sorbonne, then returned to Haiti to teach at Ecole Normale Superieure. On Monday 3, 2014, an all-woman Jury awarded "France's Prestigious Femina Prize (Prix Femina)" to the Haitian writer Yanick Lahens. The authoress Lahens (born 22 December 1953) has received the award for her book titled "Bain de lune" (Bath Moon). It is a family epic that opens up on a stormy sea beach with a fisherman who discovers a girl that seems to have escaped great violence. The story traces the paths of voodoo magic to understand how and why she ended up on the sea beach. The Prix Femina is a French literary award that was created in 1904 by 22 writers from the "La Vie heureuse" (or The Happy Life, now it is known as Femina); it is decided and announced on the first Wednesday of November each year, exclusively by female jury, although the authors awarded are not gender restricted. Yanick Lahens completed her studies in France. She was a teacher, journalist, social activist (Action for Change or CPA), served in the cabinet of the Minister of Culture and now a member of the International Council of Francophone studies. 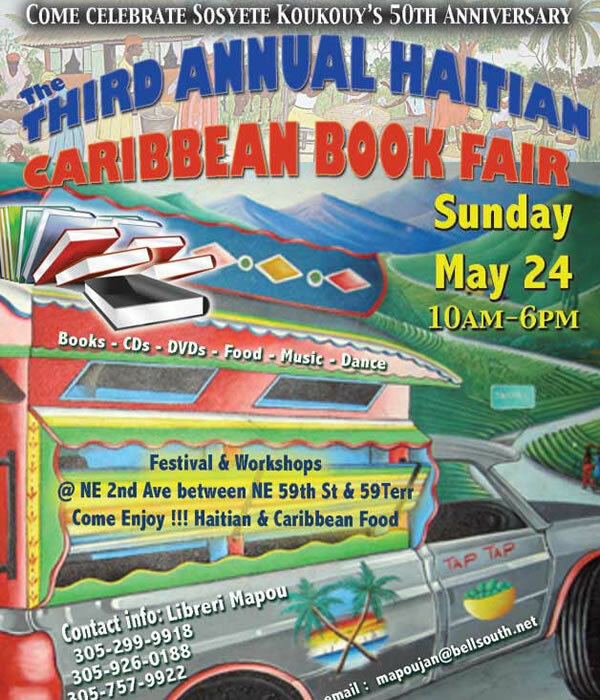 Haitian-Caribbean Book Fair in Little Haiti wants to change the notion where local Haitian writers self-published books that remain unknown to the audience.